Mash banana and add egg…mix. Mix in the rest of the mug cake ingredients. Cook in microwave safe mug in microwave for 1 minute 45 sec. 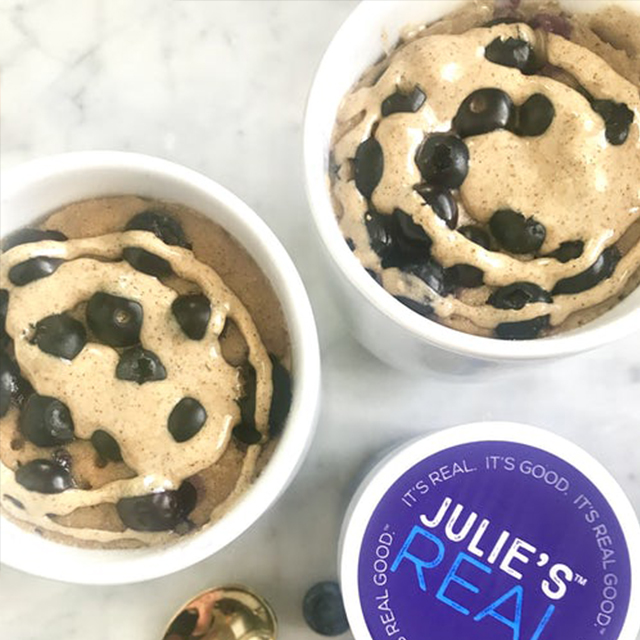 Heat 1 tbsp Julie’s Real Cashew Butter and 1/4 tsp coconut oil for 20 seconds in a separate bowl and mix…drizzle on top of mug cake! Let cool and dig in!